Embark on your own Journey of Love this Valentine’s Day 2019. Do something different to celebrate the “Love Holiday”. Come alone or bring a loved one. Pritam Bani Kaur will guide you on a sacred journey to your center of love and compassion. 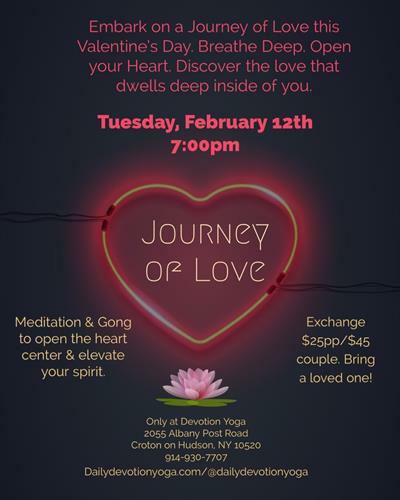 Open your heart with guided meditation, extended gong playing brining you to a whole new meaning of love. It all starts with you. To receive the couples discount, please contact the studio directly. Day of Event registration & payment is available.